Pineapple infused vodka for a French kiss martini? Yes please! 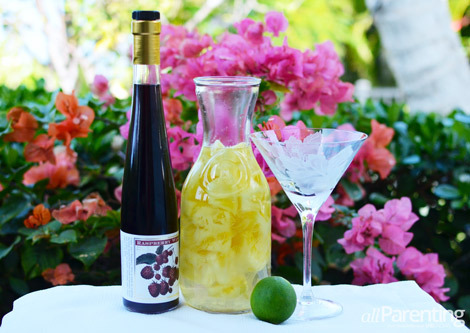 This beautiful cocktail is elegant, sassy and just what you need after a long day. The pineapple infused vodka is easy to make and brightens up this cocktail making it sweet and kissable! 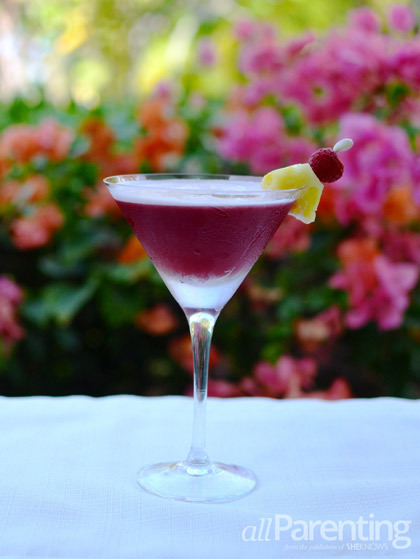 All it takes is just one French kiss martini in your hand and you will feel like you are sitting on a tropical island somewhere with not a care in the world. There is just something about pineapple flavors that makes you feel like you are on vacation. Infusing vodka with fruit is becoming more and more popular, is easy to do and helps create unique cocktails. Add in some tasty raspberry wine and you have yourself one scrumptious martini! Infusing vodka is simple and the outcome is delicious. Vodka naturally takes on other flavors making it the perfect spirit to infuse with. Also, you don't have to use expensive vodka to achieve great results. A mid-range vodka such as Stoli, ABSOLUT or SKYY is just fine. My local Trader Joe's carries raspberry wine but it's also available in other local grocery stores and liquor stores. Pour vodka into a large jar with a lid. 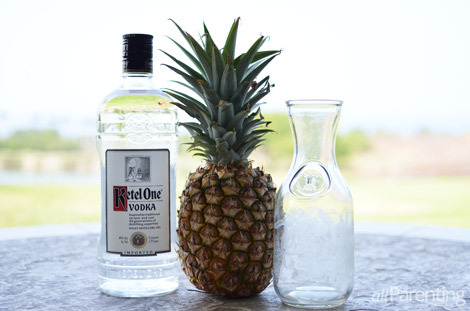 Cut the pineapple into 2-inch chunks and add to the jar with vodka. Close the jar with a lid and let it stand at room temperature for up to one week, stirring daily. Refrigerate and use for mixing cocktails! Place the pineapple infused vodka, martini shaker and a martini glass in the freezer for 30 minutes. Add the pineapple infused vodka and raspberry wine to the shaker and shake vigorously until well combined. Pour into your chilled martini glass and garnish with a twist of lemon. Enjoy!